Do you know that sinking feeling you get when you see the very last of something? Something that you know will exist no more beyond a certain point in time? That’s exactly how we felt when we met Sudan, the last male northern white Rhino in the world, at the Ol Pejeta Conservancy in Kenya. Today, he passed away at an ailing age of 45 years. This piece comes straight from our hearts, in loving memory of Sudan, whose death is a grim reminder of the consequences of indiscriminate animal poaching and human greed. 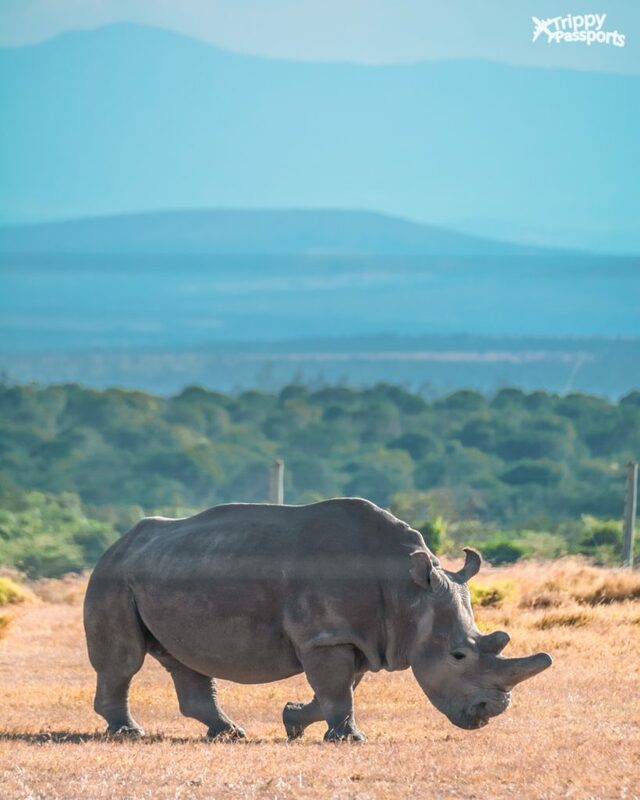 We came to know about Sudan for the first time during our trip to Kenya in September 2016 and we were excited to know that we may be able to visit him at the Ol Pejeta Conservancy where he resides with 2 other female northern white Rhinos. Sudan, we were told, was ‘The Last Man Standing’ – the only male northern white Rhino alive on the face of the earth. There have been continuous efforts to help him mate with the female Rhinos but to no avail. Researchers blamed it on Sudan’s age (43 years at that time) and decreasing sperm count. The obvious consequence – if the female Rhinos do not miraculously conceive, Sudan will be the only and the very last male of the northern white Rhino species. That day, looking out of our vehicle into the Kenyan grassland, the gentle giant Sudan made time stand still for us. We had never experienced anything like that in our life. We were looking straight at the face of the possible extinction of a species, a concept which we had only read or heard about until then. Today, that possibility has turned into harsh reality with Sudan’s death. Rhinos are one of the highly poached species for their horns, which are believed to have medicinal properties. It is because of us, our greed, that Rhinos, like many other species, are on the brink of being wiped out from our planet. This is a classic example of the effect of illegal poaching of endangered animals. At this point, the only ray of hope comes from the possibility of impregnating the 2 female white Rhinos left, through in-vitro fertilization. Researchers have been able to collect genetic material from Sudan’s body, which will now be used to develop techniques for artificial fertilization. 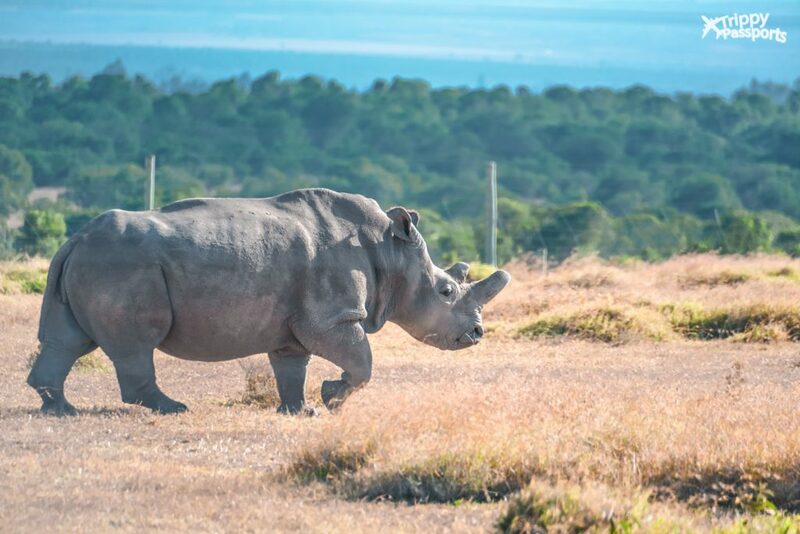 If those attempts fail, the northern white Rhinos will officially be extinct from earth. But even if the techniques do work, Sudan will still be the last one to be born in the wild. 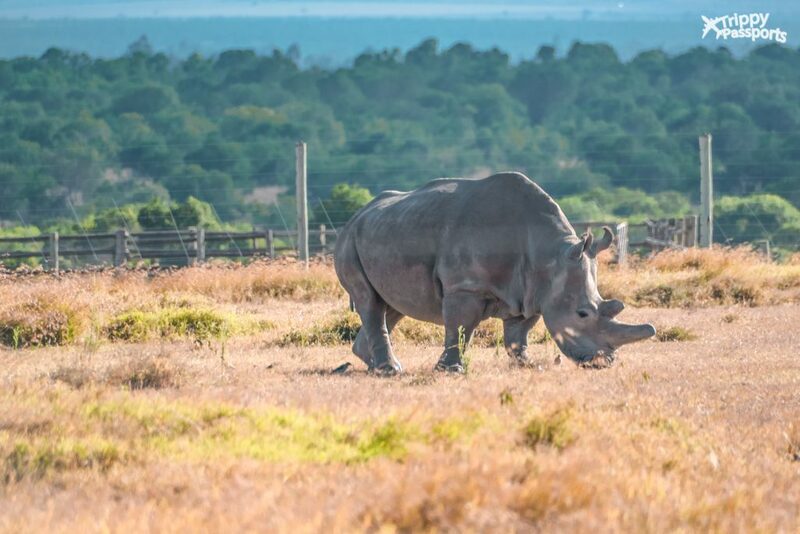 Sudan lived a long and fruitful life at the Ol Pejeta Conservancy, where he was very well taken care of. He would be guarded at all times by armed men to prevent any kind of poaching attempt. Sudan had been suffering from age-related complications since last year and towards the end of his life, his condition had reached a point of no recovery. He was unable to stand and was going through a lot of suffering which led his team of doctors to euthanize him. In his lifetime, Sudan contributed considerably to research efforts that are still underway to develop Assisted Reproductive Techniques for large mammals as well as towards the cause of conservation of Rhinos. It is heartbreaking to think how this species survived on earth for millions of years, but at the end, couldn’t survive the reckless actions of mankind. Neil and I will personally always remember Sudan lovingly for not only being the last male northern white Rhino that we had the privilege of seeing but also for opening up our mind to the harsh reality of poaching and extinction. He was a beautiful, gentle animal and we know he is in a better place now. We have truly failed your tribe, Sudan! May your soul rest in peace and your spirit and legacy live on. Very well put…. Poaching and encroachment are major threats to animal species.